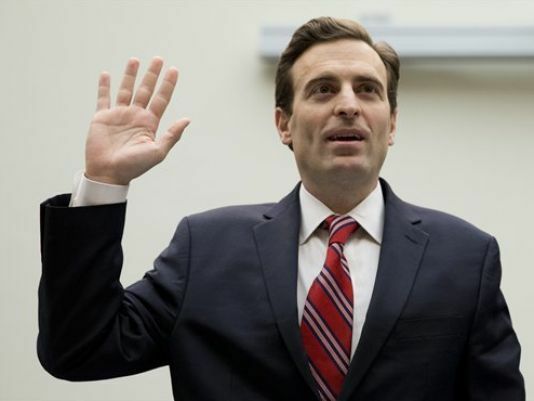 Nevada’s Attorney General Adam Laxalt faced tough questions from state lawmakers on Wednesday. They wanted to know more about a conversation between him and a top state top gaming official at a Reno coffeeshop that some say was intended to benefit casino billionaire Sheldon Adelson. Laxalt and Gaming Control Board chair AG Burnett appeared before the Ways and Means Committee in Carson City on Wednesday, to answer questions about a March 2016 conversation between the two that Burnett secretly recorded. The Nevada Independent obtained and released a transcript of that conversation earlier this week. The committee is considering legislation that would allow Burnett’s regulatory board to handle its own legal matters, without having to go through a potentially politicized state Attorney General’s office. 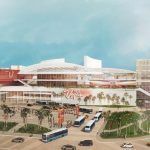 In the hearing, Laxalt contended he was merely doing his job on behalf of the state’s gaming industry, and was not seeking favors on behalf of Adelson and Las Vegas Sands. He also denied there was any coercive intent behind asking Burnett about submitting a letter to a civil court that was deciding a controversial wrongful termination lawsuit against LVS. At the time of the conversation between Laxalt and Burnett, Adelson and LVS were engaged in a high-profile wrongful dismissal case brought by the former CEO of Sands China, Steven Jacobs. LVS wanted to prevent plaintiff’s attorneys from obtaining an internal audit report that might prove damaging to the Sands’ case. Laxalt suggested that Burnett might want to brief the judge in the case that such documents filed with GCB generally had to remain confidential. 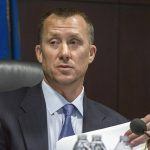 “The attorney general implied the District Court judge presiding over the wrongful termination case did not know the law and such a brief would simply educate the judge on Nevada gaming law,” Burnett said in an affidavit presented to committee. He added that GCB refused to provide input on the lawsuit because it would be an “improper endorsement” of one of its licensees. 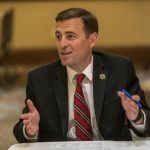 Laxalt told the committee that his request for a letter from GCB was only to protect the agency from being forced to provide information the casino watchdog considered confidential. Burnett noted, however, that the audit report in question had been filed with multiple agencies, so it no longer could be afforded confidentiality protections. Following the contentious conversation, Burnett passed his recording to the FBI, which found no criminal wrongdoing, which was enough for Burnett to consider the case closed. “After this evening’s hearing, it is clear that Attorney General Laxalt’s attempt to pressure the Gaming Control Board to intervene in a private civil lawsuit on behalf of his biggest donor has created an irreconcilable conflict,” Rep. Maggie Carlton (D-Las Vegas) and Sen. Joyce Woodhouse (D-Henderson) said in a joint statement after the hearing. Nevada’s top prosecutor has raised eyebrows in the past over his relationship with Adelson, owner of Las Vegas Sands and one of Laxalt’s biggest campaign donors. Laxalt has been one of only a few Nevada politicos to support Adelson’s call for a ban on online gambling, which is mostly legal in the state. Political insiders believe Laxalt has his eye on running for Nevada governor in 2018. 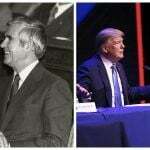 Laxalt contends this whole hullabaloo is the result of an ongoing political witch hunt.